*Single gallons, ProFresh Deodorizer, Bright All, Bonnet Wash, Multii Brush, Hose Cradles, Omega Spotter singles and 5 pack, All-In-One Spotting Kit and spotting towels, parts and all other items will be charged at normal UPS ground rates. Concerning Winter Shipments: Items marked as not freeze thaw stable are shipped at customers’ risk when Winter/freezing temps are present. Please note: Even freeze thaw stable items can still be damaged as freezing can cause container to rupture. Bonnet Pro will not be liable for frozen or damaged product. This applies to all customers, end users and distributors. 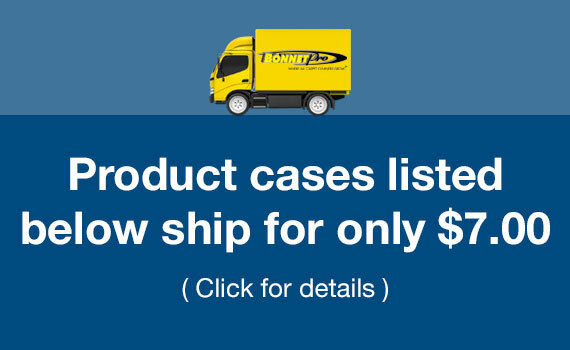 Any case of Surround, OMEGA, Revive iT cleaners or spotters and Guardian Carpet Protector ships for only $7.00 per case in the contiguous US. $7.00 shipping applies to UPS Ground only. Order 3 cases or more on a single order of Surround, OMEGA, Revive iT cleaners or spotters and Guardian Carpet Protector in any combination and receive them with free shipping, also in the contiguous US only. Free shipping applies to UPS Ground shipping only. 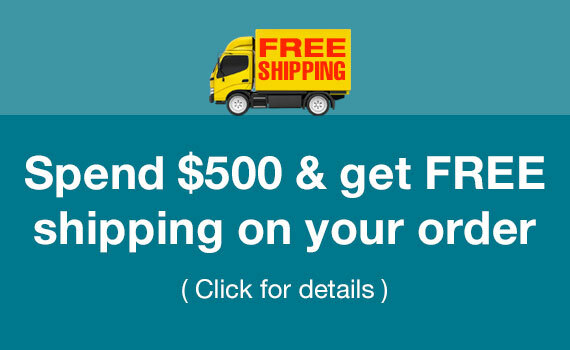 Spend a total of $500, after discounts and coupons and get totally FREE shipping on your entire cart order*. 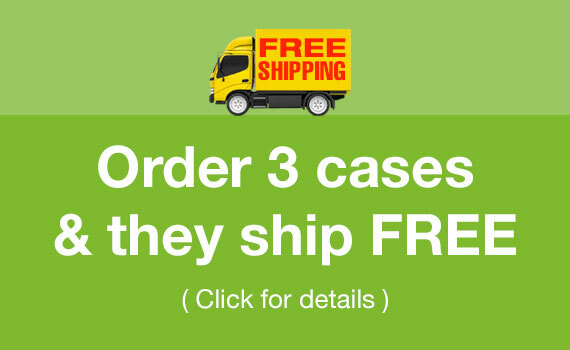 *Free shipping excludes the MiniMax, other equipment and parts. Please note: If your product total (after discounts and coupons are applied) is over $500, please be sure to select the Free Shipping option during the checkout process. If it is not automatically selected. Certain items may trigger regular UPS rates to be shown, so you MUST choose the Free Shipping option in order to receive it. 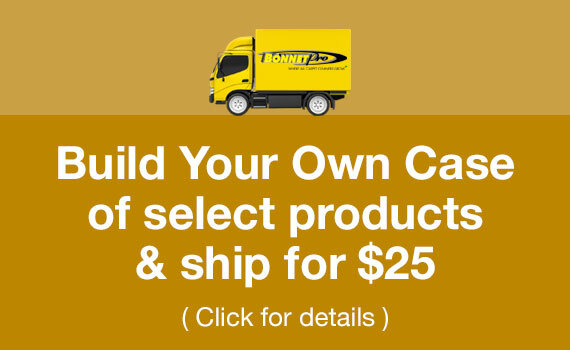 Select any of Bonnet Pro’s quart, 3 lb. and gallon sized products, even those currently included in “Pick & Mix” in our store, for a more efficient way to get what you need and keep shipping costs under control. Normally, if you choose 4 separate gallons, the shipping module will charge shipping 4 times, once for each gallon. With “Build Your Own Case”, you pick the products you want and they will ship in 1 box for only 1 shipping charge, saving you money. These cases will ship UPS Ground, $25.00 per case. 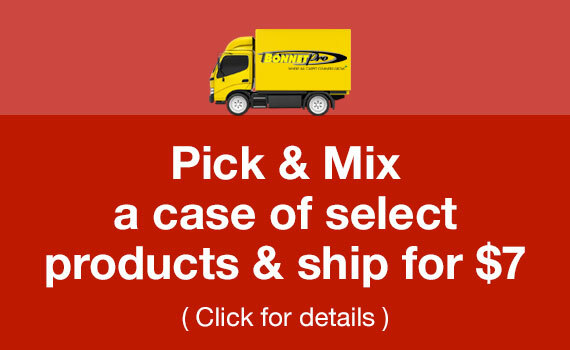 Pick & Mix offers only certain products chosen by Bonnet Pro that will ship at a discounted shipping rate, helping you save money on our most popular items. Build Your Own Case lets you choose from any of our products listed below. 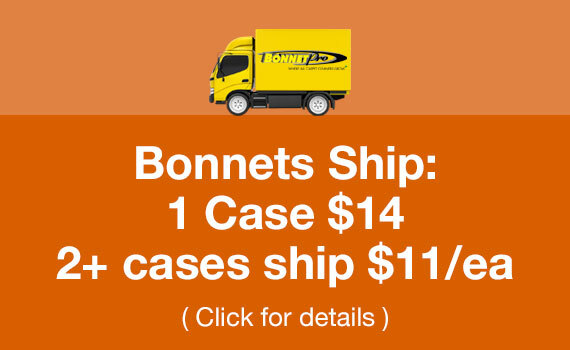 Choose from Bonnet Pro’s list of gallon products below to create your custom case and save on shipping costs. Pick & Mix is only $7.00 per case!